Awaken the dragon spirit deep within wearing the beautiful John Hardy® Legends Naga Stud Earrings with Blue Sapphire Eyes. 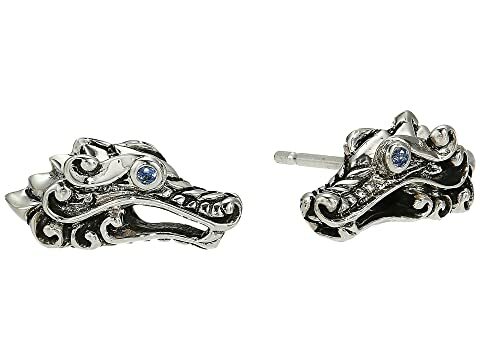 .925 sterling silver Naga dragon stud earrings with blue sapphire eye. We can't currently find any similar items for the Legends Naga Stud Earrings with Blue Sapphire Eyes by John Hardy. Sorry!